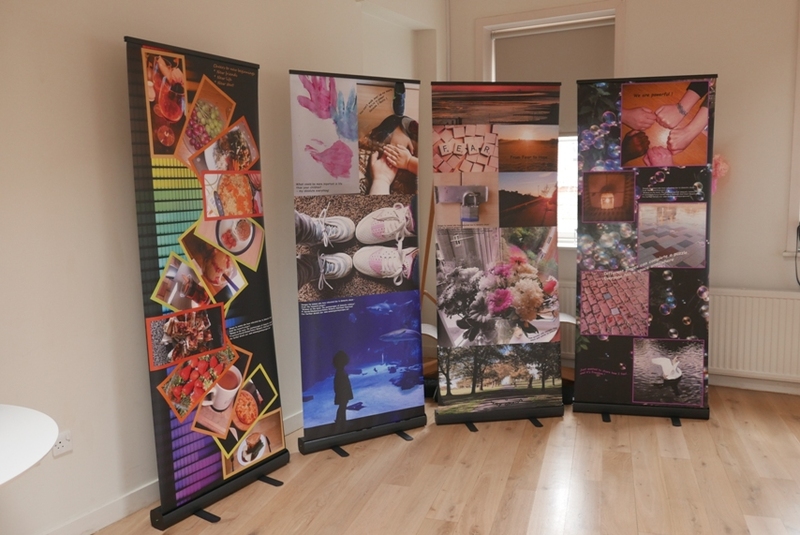 A recent exhibition for International Women’s Day (8th March) featured images from the participatory groupwork of this research project. What could be more important in life than your children? – my absolute everything! From Fear to Hope – How quickly life changes from black and white to colour! Just wanted to share how I feel… and it’s freedom!